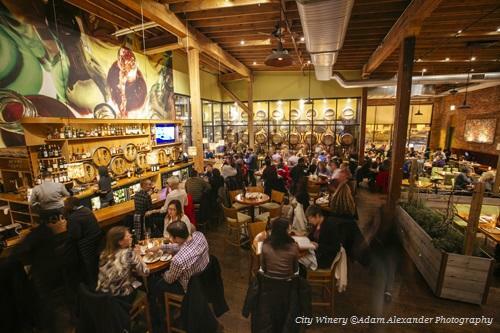 Tap into some of the many craft Chicago breweries, distilleries and even a city winery that make for fun corporate event and party venues your guests will happily toast. Organizing an off-site meeting or after-hours corporate event? 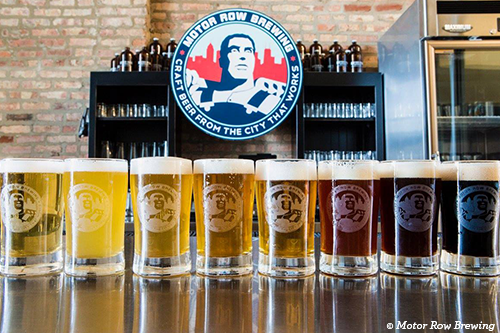 Skip the standard board room or reception hall and opt for one of these craft Chicago breweries, distilleries or even a local winery. Attendees will get a taste of authentic local culture, trendsetting culinary experiences and a laid-back vibe. 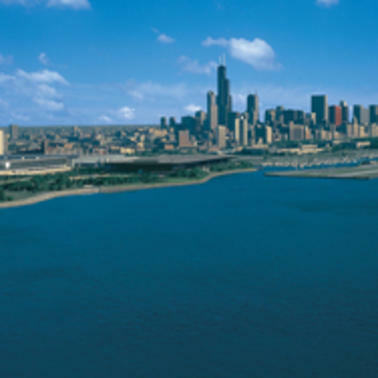 Plus, many of these Chicago event venues offer additional activities that foster natural team building and networking, such as brewery tours, cocktail classes, tastings and more. 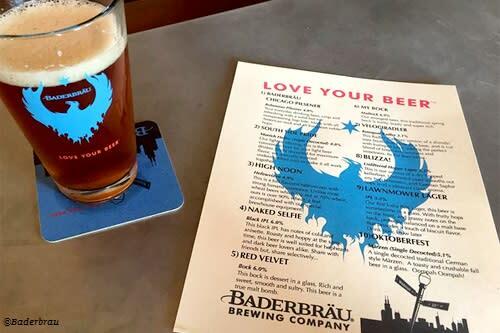 The expansive taproom features picnic table seating and a huge mural of the brewery’s signature phoenix, while the beer list offers a variety of flavorful lagers and wheat beers. Event Venues: Private VIP room (50-person capacity) or full buyout of the 4,000-sq.-ft. taproom. Party packages are available. 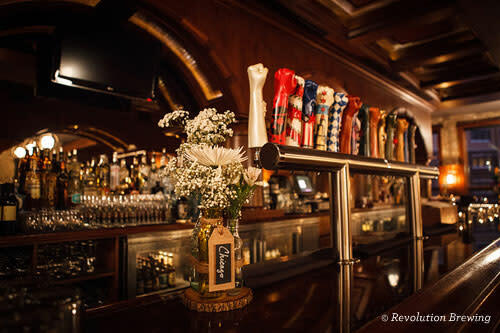 Tapping into the heritage of its historic Motor Row neighborhood, this brewery maintains the charm of yesteryear in its carefully preserved landmark building near McCormick Place, where the beers nod to Chicago with names like Out of the Loop IPL and Downtown Cherry Brown. Event Venues: First Floor Brewery Bar (10-30 guests) with brewery option for 40 additional guests and food station; Second Floor Tap Room and Diner (50 guests cocktail/30 seated); Third Floor Exposed Brick Space (100 cocktail/80 seated), where rental includes highboys with chairs, cabaret tables with black folding chairs and tables with black linen. Full buyout is also available. Extra Perks: Private brewery tours are also available. 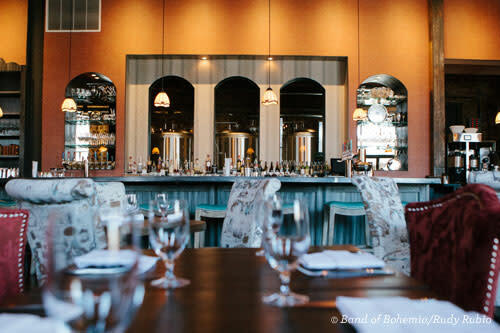 This casual brewery in the South Loop features concrete floors, leather bar stools, wooden tables and vintage photographs of Chicago, as well as beers that are evocative of the city’s past ties to the gangster era: Bad Intentions IPA, Rise of the Red Roggen (Roggenbier) and Cluster, Damn Near Killed Her Double IPA. 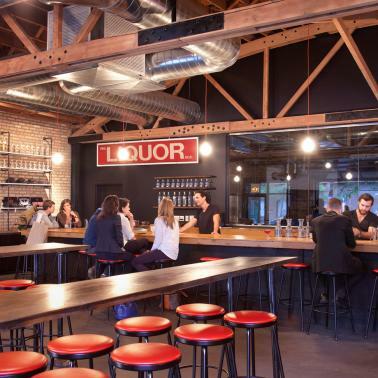 Event Venues: The entire taproom/brewery can accommodate 99 guests. Rental is for two hours ($175/hour Tues.–Thurs. ; $250/hour Fri.–Sat. ; $75/hour Mon., available for non-profits only) with complimentary half-hour for set-up. Additional time can be negotiated if needed. Extra Perks: Brewery tours are available. 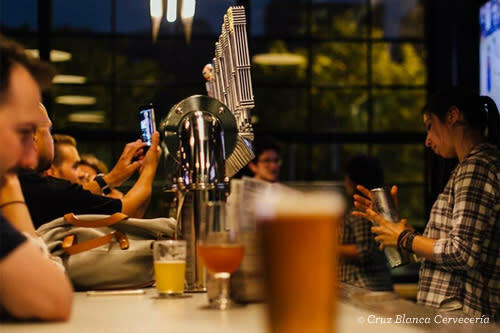 Expertly blending European tradition with Mexican style, this brewery serves up innovative beers (such as Tocayo hominy white ale and Medianoche Imperial Stout) and Oaxacan-style cuisine by celebrity Chef Rick Bayless. Event Venue: Private dining available (80 seated) with set menus and packages. Extra Perks: Private brewery tours available. 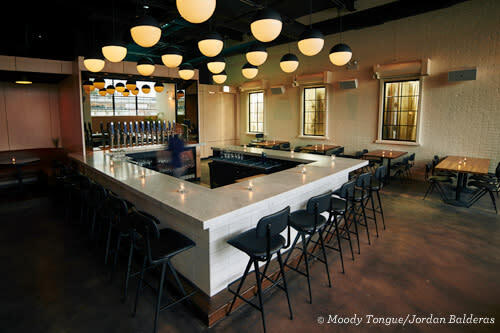 A must for foodies, this sleek mid-century modern brewery in Pilsen serves up complex, unique beers such as shaved black truffle pilsner and bourbon barrel-aged chocolate barleywine. Event Venue: Full buyout available (75 cocktail/95 seated). 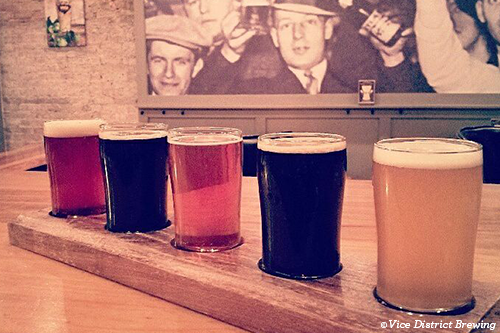 Extra Perks: Guided beer tastings and private brewery tours available. Harnessing the allure of the gypsy spirit, this Ravenswood brewery and brewpub (one of the first brewpubs to be Michelin rated) touts an artistic ambiance with fanciful wallpaper, whimsical furnishings, artful cuisine and innovative beers, such as the Orange Medjool Rye and Oats and Apples and Everything Spice. Event Venue: Full restaurant buyout is available. Main Dining Room (150 cocktail/75 guests seated). With big, bold flavors and dozens of beer styles, this is the largest independently owned brewery in the state. Bring groups to the brewpub, or rent a private space at the nearby brewery. Event Venues: Kedzie Tap Room (225 cocktail/170 seated) or Brewers Lounge at brewpub (130 cocktail/110 seated), 50 guests minimum. Set menus and packages available. Extra Perks: Private brewery tours are available. A light, airy space with a rustic-chic aesthetic, this is Chicago’s first restaurant and brewery specializing in botanic beers made from all-natural ingredients. Guests can sip on everything from Wildflower Pale Ale to Sublime Ginger wheat beer. Event Venue: Semi-private dining space (14 seated). 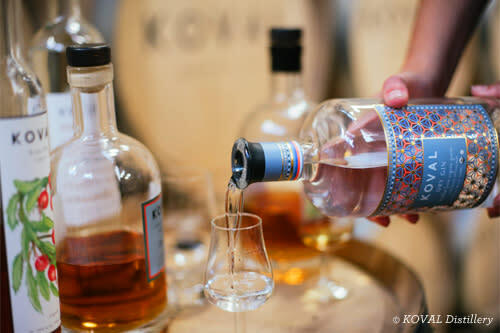 Using grains sourced from organic farmers, this specialty distillery serves an array of whiskeys, liqueurs and specialty spirits, from white rye whiskey to jasmine liqueur to barreled peach brandy, in its no-frills tasting room. Event Venue: Company meetings can be booked Mon. and Thurs. from 9 a.m.-5 p.m. in the private meeting room. Rentals include projection equipment and a screen. Extra Perks: Private tours, cocktail classes and whiskey workshops are available. 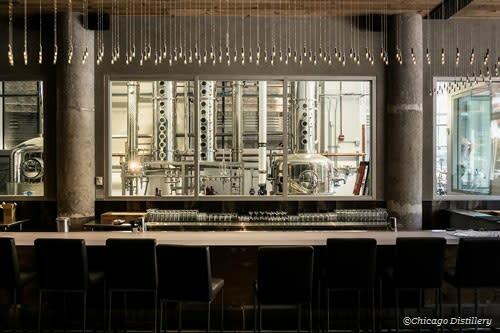 As Chicago’s only working distillery, restaurant and bar, this West Loop spot is a convenient, one-stop event venue. Guests can enjoy gourmet pub fare and more than 20 distilled products, including gin, rum and specialty spirits, served in a sleek, urban space. Event Venue: Capacity for 10-100 guests. Extra Perks: Distillery tours and tastings available. Tucked away in an industrial area, this small-batch distillery specializes in fruit brandies, from grappa to apple brandy to peach schnapps, served in a trendy, minimalist tasting room. Event Venue: Tasting Room buyout (45 guests). Extra Perks: Private distillery tours, tastings and cocktail classes available. 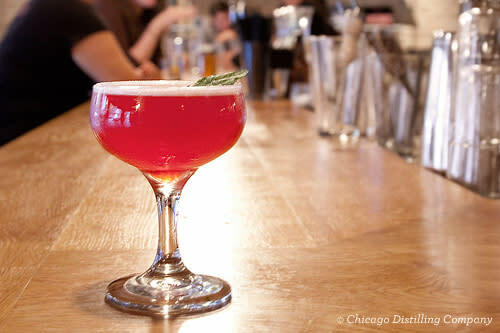 A cozy Logan Square distillery with exposed brick walls, this is the place to enjoy conversation and specialty cocktails mixed from handmade spirits. Event Venue: Buyout available (80 seated/100 standing). Extra Perks: Private distillery tours, craft cocktail demonstrations and cocktail classes are available. This upscale yet rustic winery and restaurant harnesses the Old World feel of a vineyard tasting room. The food menu offers an array of Italian and Mediterranean dishes, while the award-winning wine menu boasts more than 400 wine producers from around the world, as well as 20 in-house wines. Event Venues: The Concert Venue (350 cocktail/240 seated); The Barrel Room (225 cocktail/140 seated); The Private Barrel Room (35 cocktail/32 seated); The Mezzanine (80 standing/60 seated). Set menus and packages available. Extra Perks: Winery tours and tastings available. The winery also hosts concerts.